As technology is growing and changing every day, deciding where to focus your attention (or passion) as an engineer or developer can be completely overwhelming. Mary Anthony, a Documentation Engineer at Blockstack has worked for over nine startups in completely different industries, and is joining us to help answer your questions about life as an engineer and how you can grow your skills wherever the industry takes you! How did you get started in your career? Any advice for those interested in pivoting careers? How does open source play a role in your day-to-day? What's the biggest blocker you've ever faced in your career and how did you overcome it? 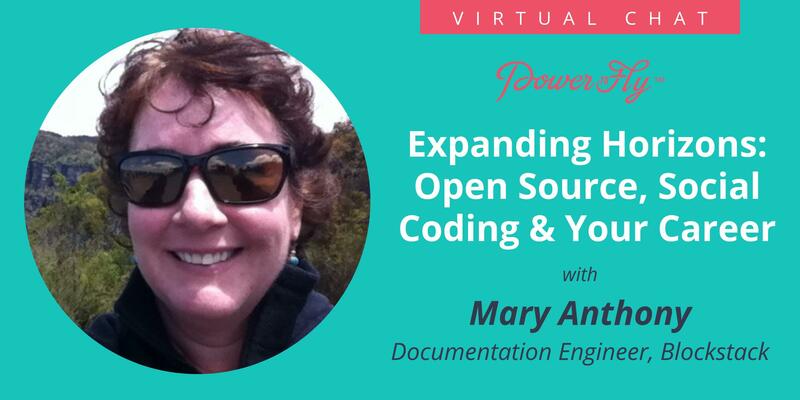 Mary has co-founded a company, managed teams, developed documentation deployment infrastructure, written many tech docs, and designed user interfaces. She has worked for over nine startups in places like New York, California, Texas, and Germany. Her experience includes open source, clinical research, container technologies, security software, business intelligence software, source control software, and system administration. In her spare time, Mary rides horses, runs trails, dances, and studies classical figure drawing. Recently, she began training her new, incredible horse Jack-Jack a three yo Hanoverian and completed a few passable drawings.